← Italian Language Classes in OC for all Ages Now Open for Enrollment! The Lives of Filippo Mazzei and Louis Palma Di Cesnola. Join us for a double book presentation on November 28! 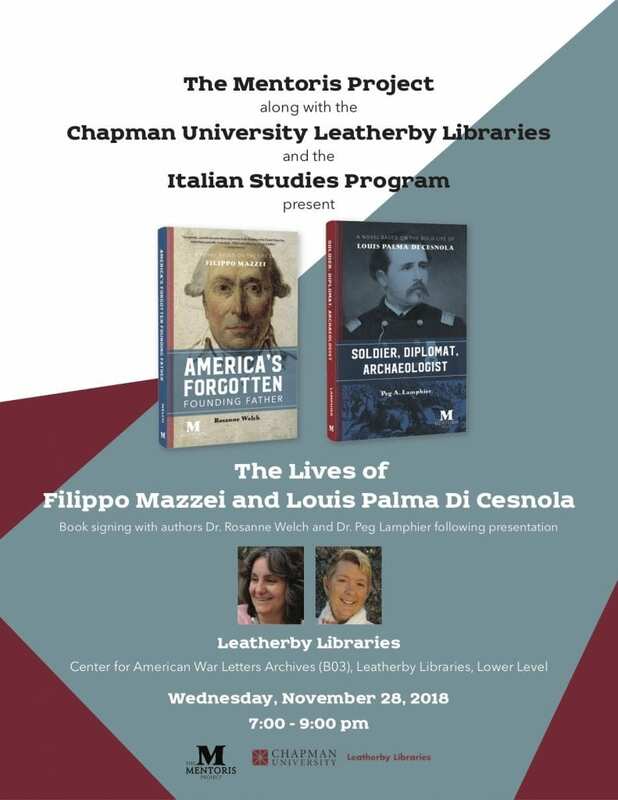 The Mentoris Project along with the Chapman University Leatherby Libraries and the Italian Studies Program present The Lives of Filippo Mazzei and Louis Palma Di Cesnola. Book signing with authors Dr. Rosanne Welch and Dr. Peg Lamphier following presentation. November 28, 7pm, Center for American War Letters, Leatherby Libraries.